Have you ever wandered what you should wear on a hike? 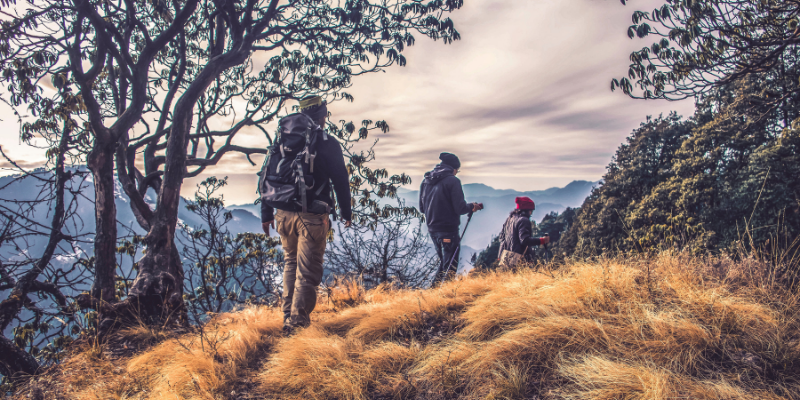 Hiking doesn’t require any specialist equipment, but in order to really enjoy your experience, it’s important to be prepared for all eventualities! Layering is key when you’re going out on a hike. You don’t know what the weather might bring, especially when you’re on the top of a mountain – where the weather can quickly change. It might be sunny with blue skies at the start of your trek, but feel like the middle of winter at the summit! The worst thing you want to be doing is hiking in wet clothes! Make sure you bring a waterproof jacket and trousers with you, so that you’re fully prepared for any unexpected downpours! Your feet will be your best friends on a long hike! Your walking boots need to be comfortable and supportive. Make sure you spend a bit of time trying on a few different walking boots, to see which fit better. And it’s always worth asking the experts – the staff in outdoor shops are trained to help you, and will be able to advise on their different styles. Walking socks are just as important as your walking boots – if they don’t fit correctly, then they can cause uncomfortable blisters. Socks made from wool, or other natural material, are ideal, as they draw away moisture from the skin and are quick drying. Even though the forecast may predict a mild day, weather can change quickly up on the mountains. Make sure you are prepared for all eventualities. 1. Day Pack / Rucksack (approx. 25 litres). You will need a backpack in order to carry your essential hiking items. Make sure your bag is comfortable – with the correct support and waist strap, so that the weight is evenly distributed between your back and shoulders. In order to perform well, your body needs water. Make sure you bring enough water for the duration of your hike. Dehydration can cause all sorts of problems when out on a long walk, increasing your risk of hypothermia and altitude sickness. Remember – when you feel thirsty, your body is already dehydrated! Even if you’re not planning on hiking in the dark, your hike may take a lot longer than expected or you might get lost. If you’re out passed sunset, you’ll be grateful to be accompanied by a head torch! Make sure you check the batteries beforehand. 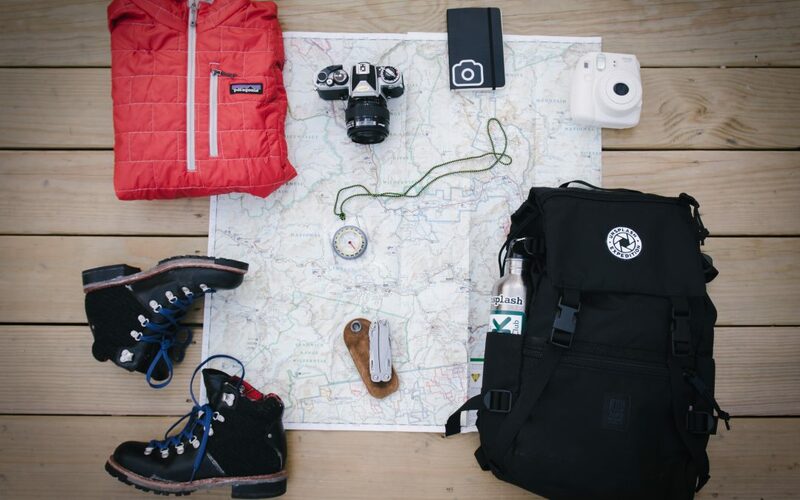 A map and compass will tell you where you are as well as being a vital tool if you get lost. It’s all well and good using the GPS on your phone, however always carry a map and compass as a backup. 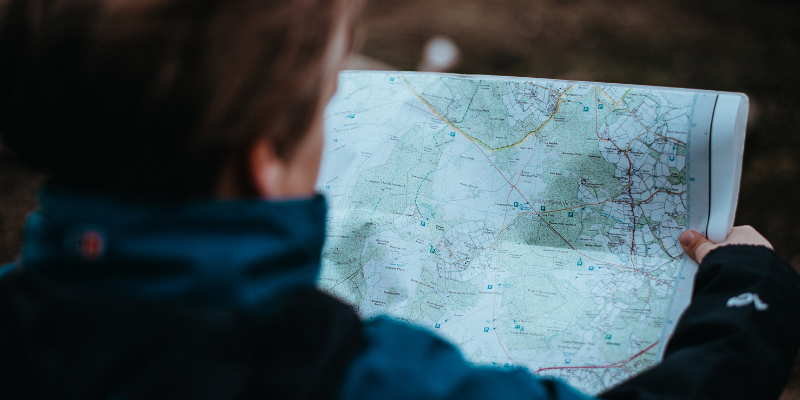 It’s also important to make sure you brush up on how to use your map and compass! Sun protection is so important when you’re out hiking. Sun burn can result in dehydration and can lead to a very uncomfortable hike – and some very dodgy tan lines! Take a fully charged mobile phone with you on all your hikes – just in case of an emergency. Always prepare for the unexpected – such as getting lost, difficult terrain or injuring yourself. Therefore, always make sure you have some extra food – to help keep your energy levels high. An emergency blanket is lightweight and won’t take up much space in your backpack, and may save your life if you end up in an unexpected situation. Just in case you get lost and are out of sight, a whistle will help people to locate you. Always carry a basic first aid kit with you, in case of any minor ailments. And make sure that any thing used is then replaced. And most importantly – make sure you test out your kit on smaller hikes before taking on an endurance trek such as TrekFest. Your boots should be well worn in and you should be used to all of your kit before taking on an epic adventure! Now you’ve got your kit sorted, it’s time to get outside and go and enjoy some beautiful countryside!